Oli Moix, extra virgin Olive oil D.O. 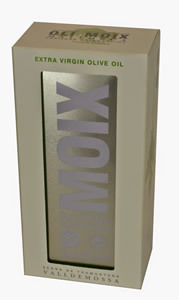 Moix is a modern producer of extra virgin olive oils from Mallorca. 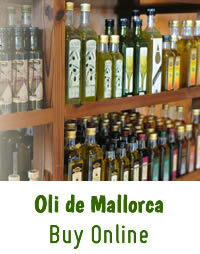 Excellent olive oils with low acidity. Produced with a combination of traditional and innovative techniques. 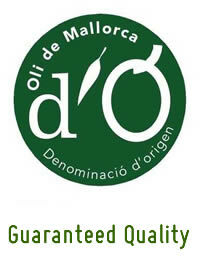 Olive Oil Extra Virgin Moix with Designation of Origin "Oli de Mallorca". Soft and pleasant on the palate, with sweet notes of almond and apple. Reminiscent side flavour of ripe fruit. Little tangy at the end.